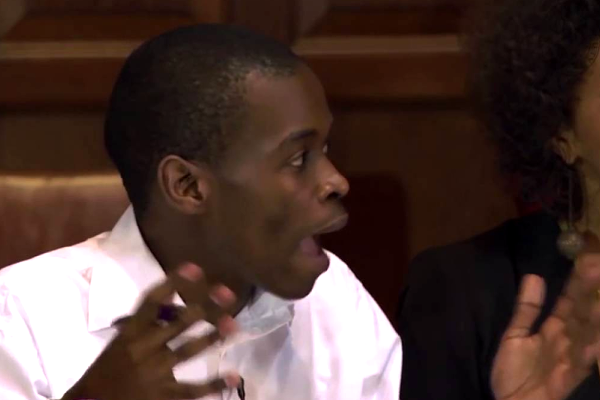 Ntokozo Qwabe, one of the leaders of the Rhodes Must Fall movement at Oxford University in the UK, bragged last week on Facebook about the way he treated waitress, Ashleigh Schultz, at a cafe in Observatory, Cape Town. Following the incident, two separate online campaigns were initiated to raise money for the waitress, purportedly in a show of solidarity against racism and bullying. Qwabe is the co-founder of Rhodes Must Fall In Oxford – “an organisation determined to decolonise the space, the curriculum, and the institutional memory at, and to fight inter-sectional oppression within, Oxford”. He is a former law student at KwaZulu-Natal, and received the Rhodes Scholarship to further his studies at England’s Oxford University, in 2013. He has been critical of the Rhodes Scholarship, claiming it does not buy his silence. “White people have indicated their intention to lodge a hate speech campaign with the SA Human Rights Commission. I can’t wait for it to be honest,” the activist said.